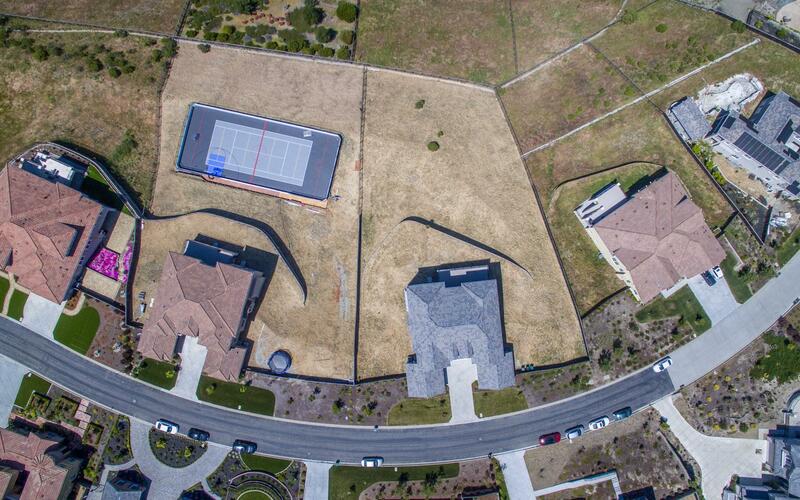 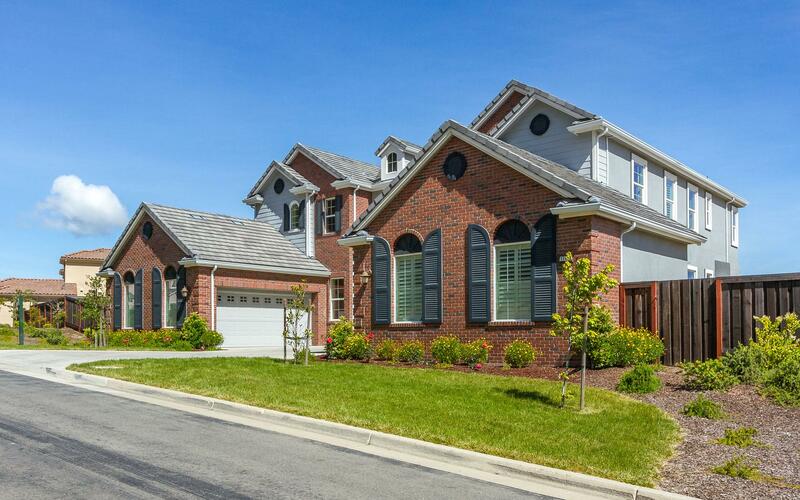 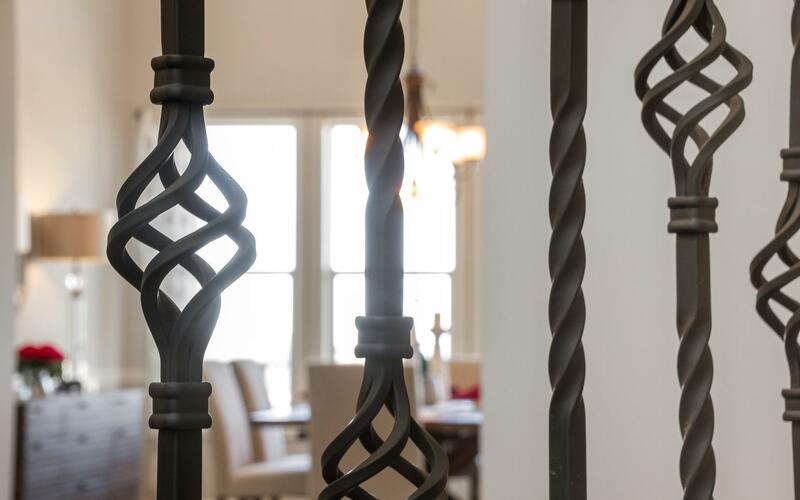 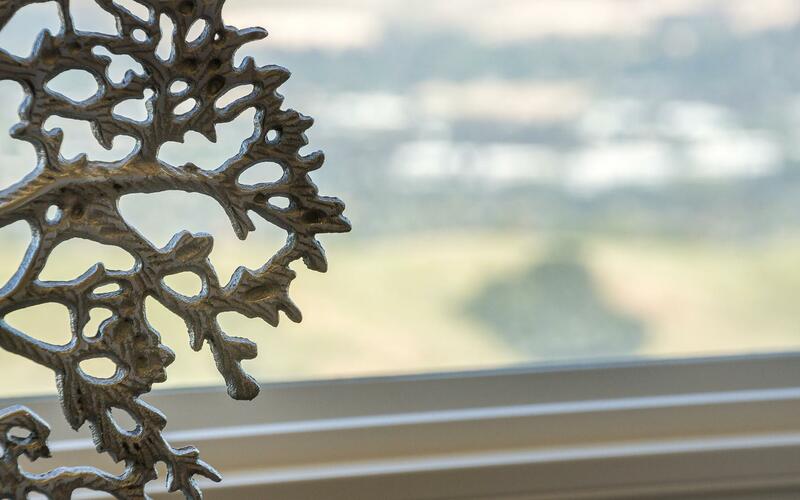 Norris Canyon Estates is a gated neighborhood with a population of just over 1000. 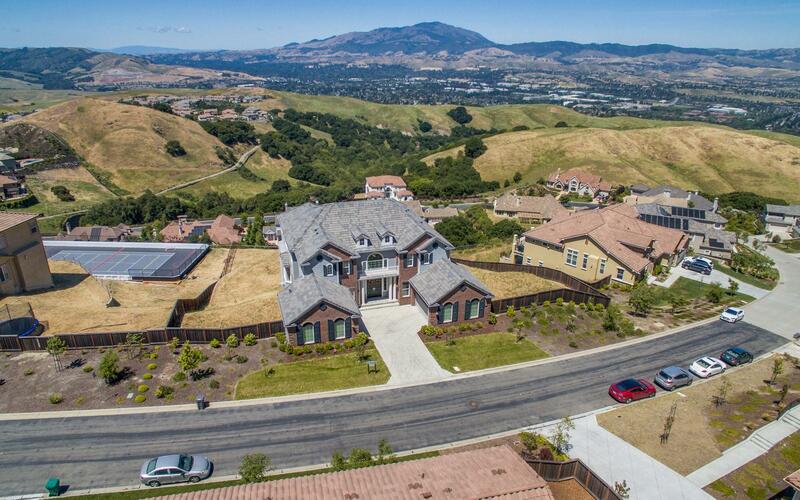 Ranked top 3 amongst the wealthiest neighborhood in California. 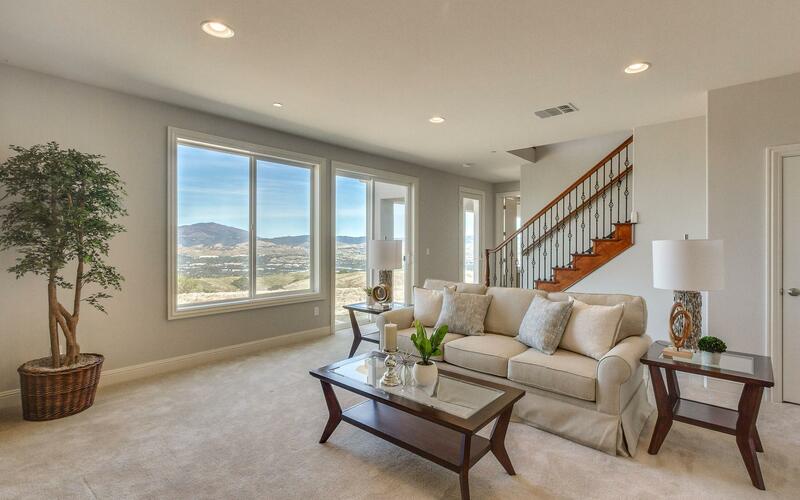 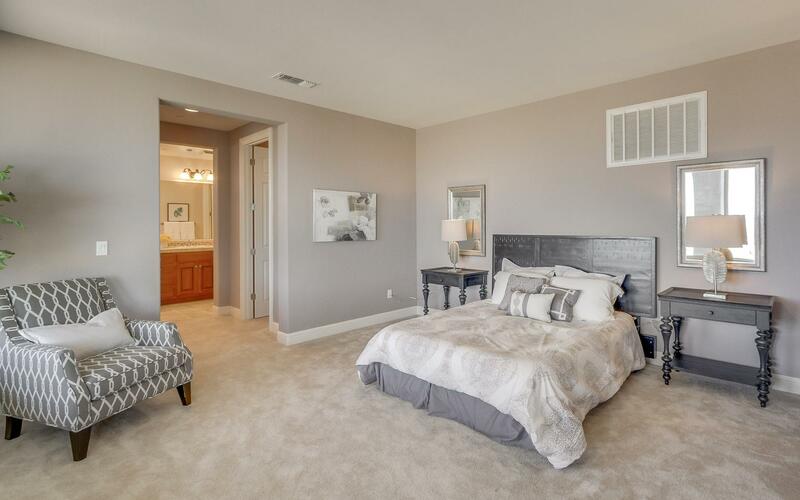 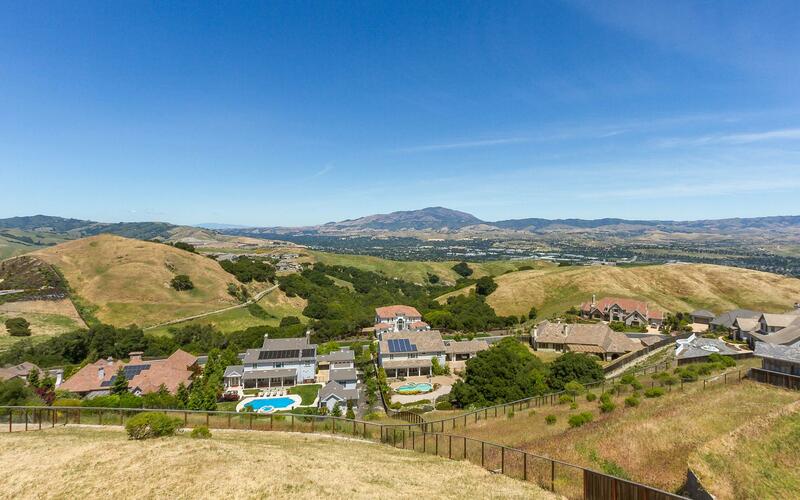 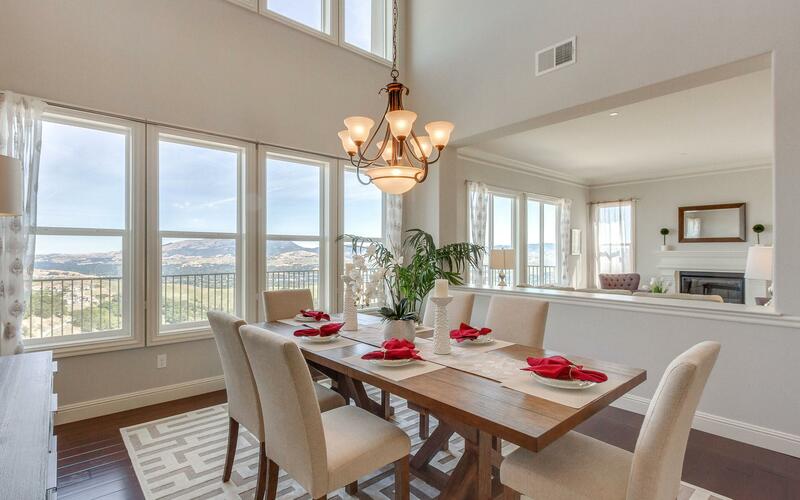 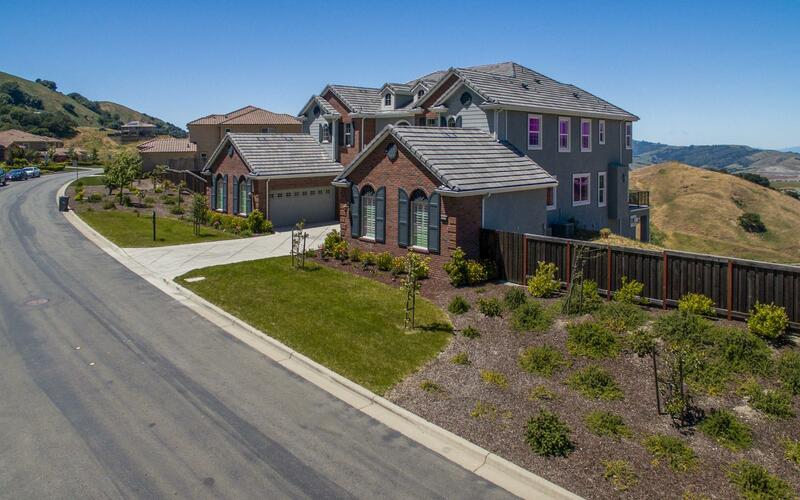 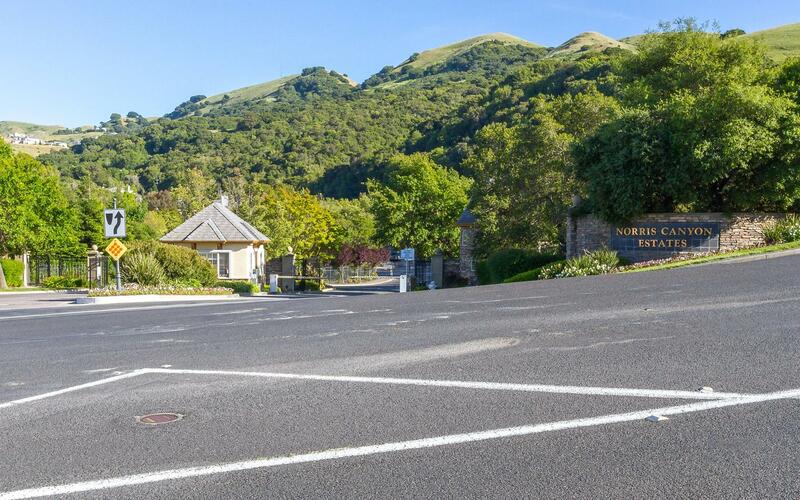 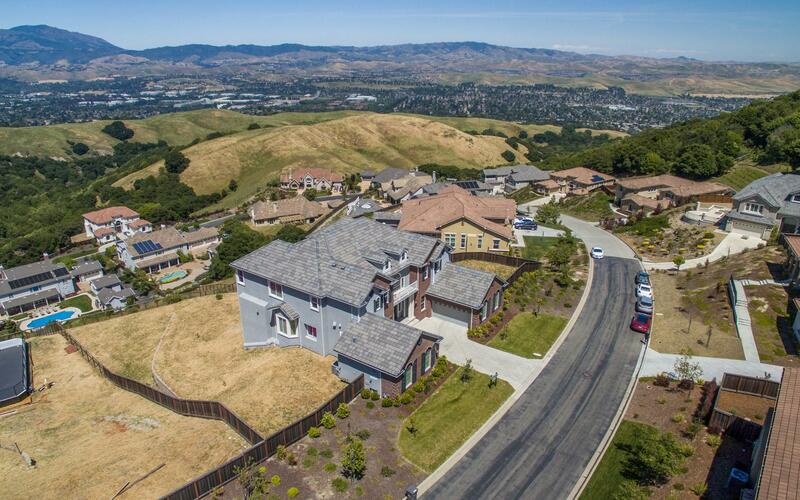 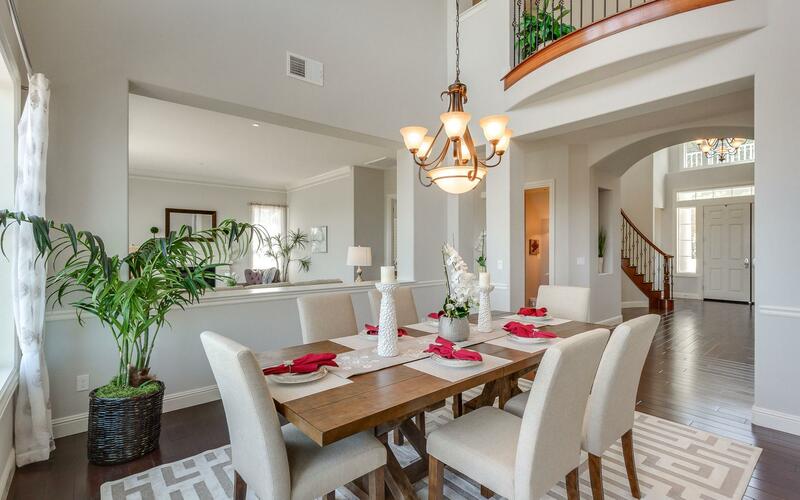 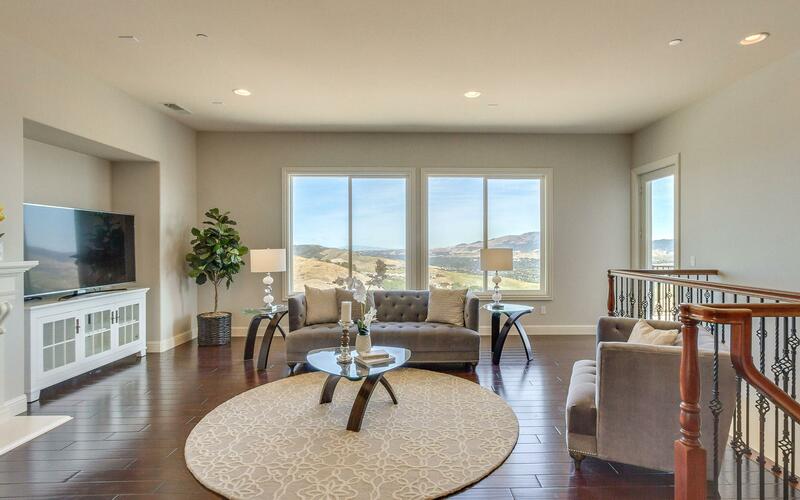 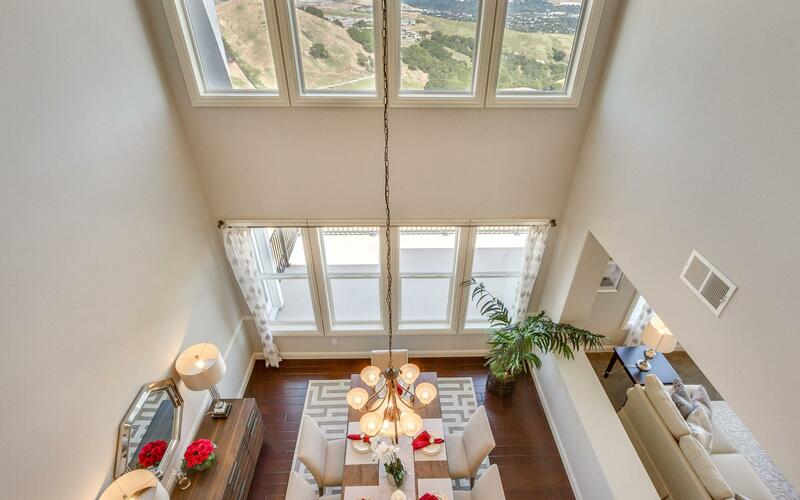 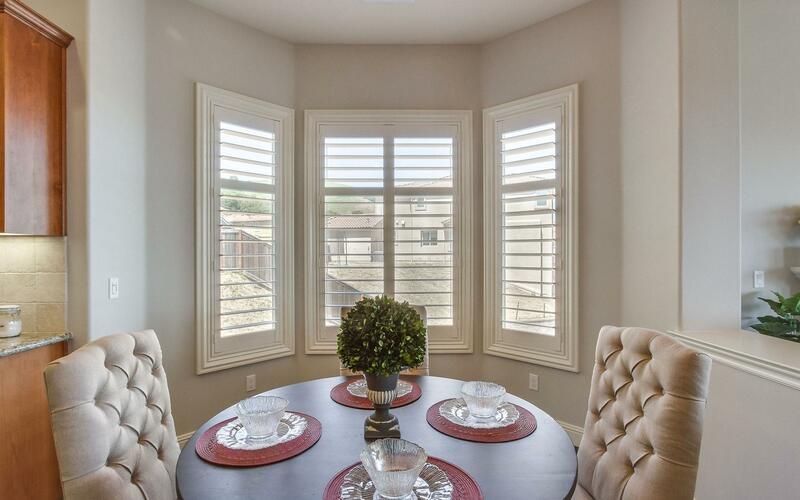 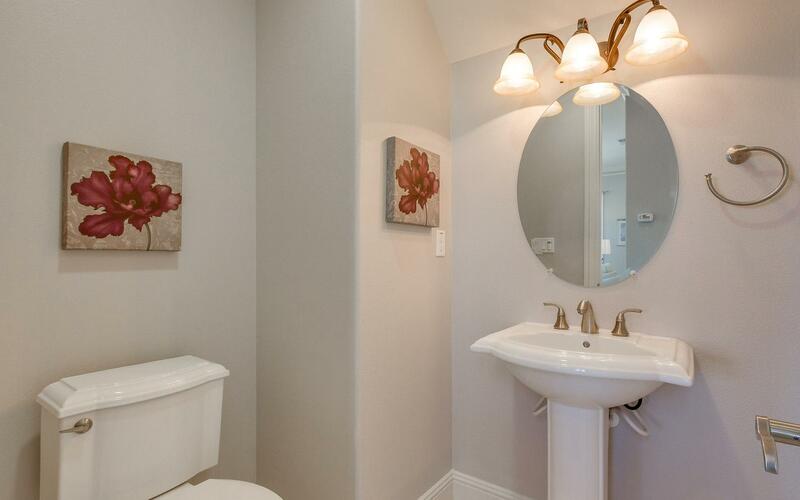 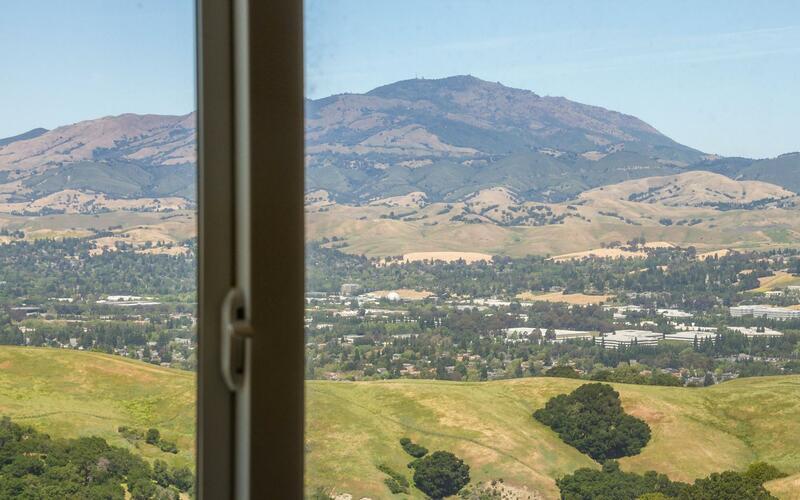 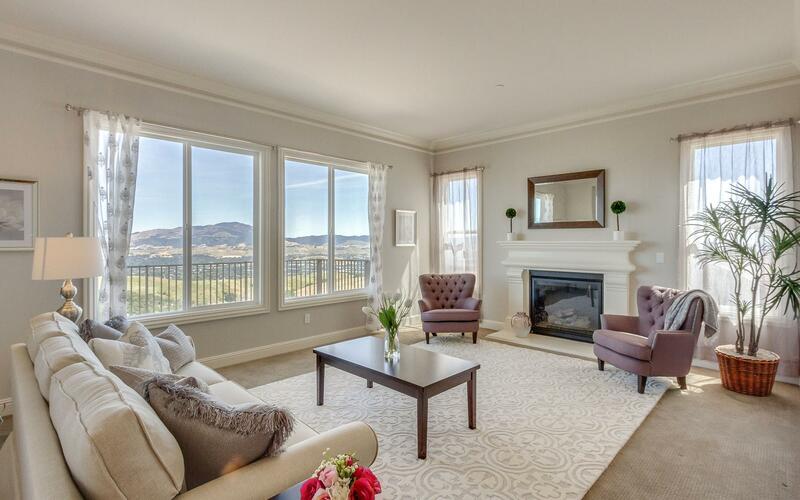 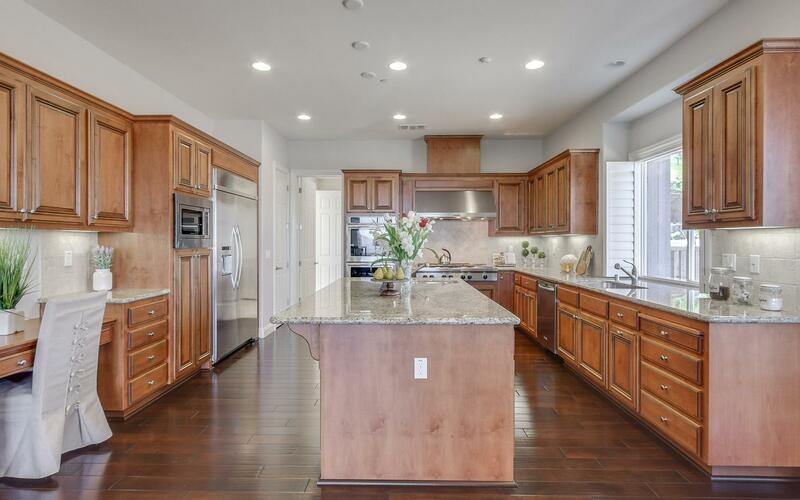 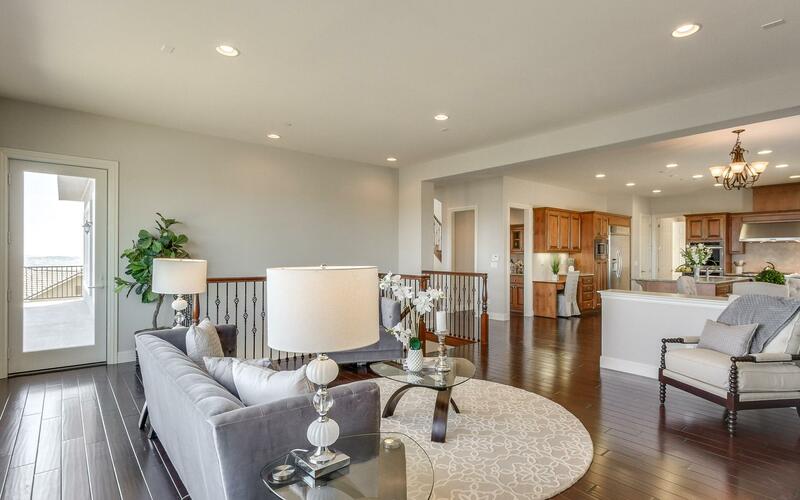 This is a gorgeous, quiet, community hidden in the foothills of West San Ramon. 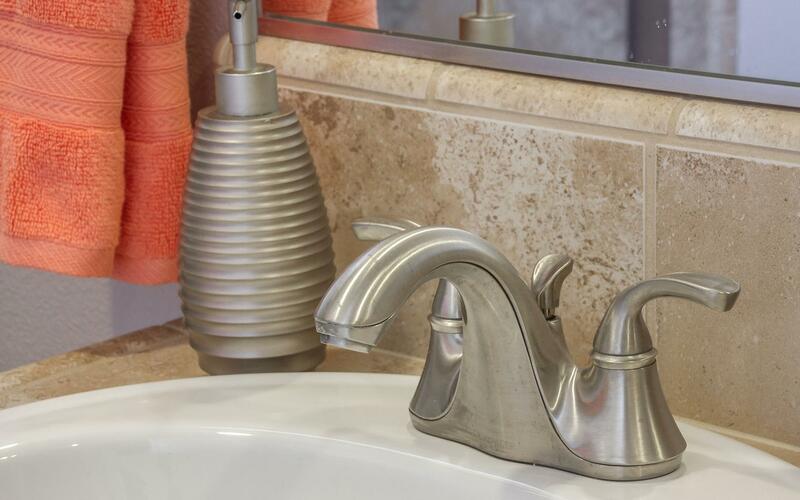 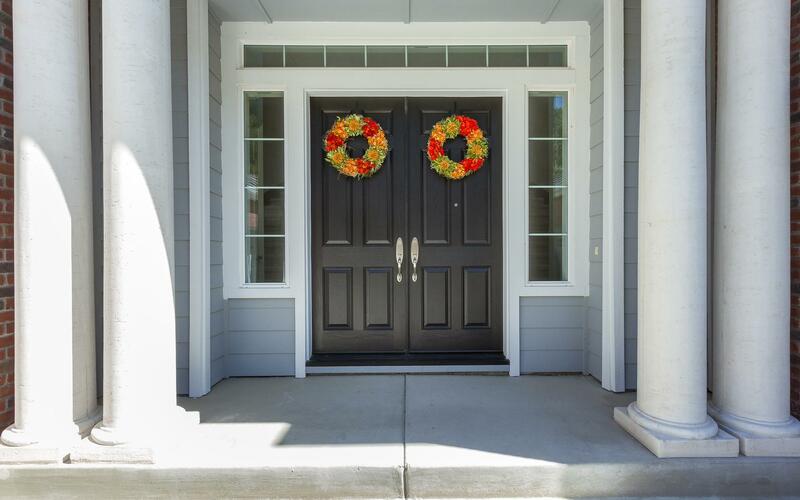 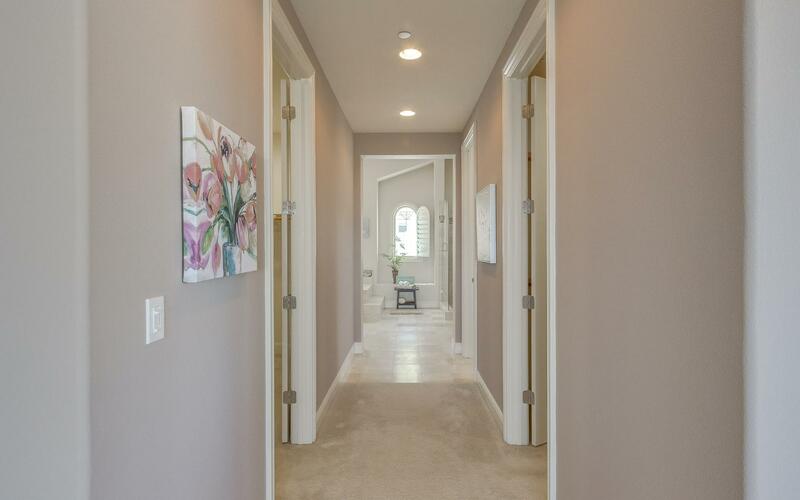 Designed by the nationally famous Luxury Home Builder-Toll Brothers, this is a wonderful community where you can live a relaxing lifestyle amidst the bustle of the nearby economy. 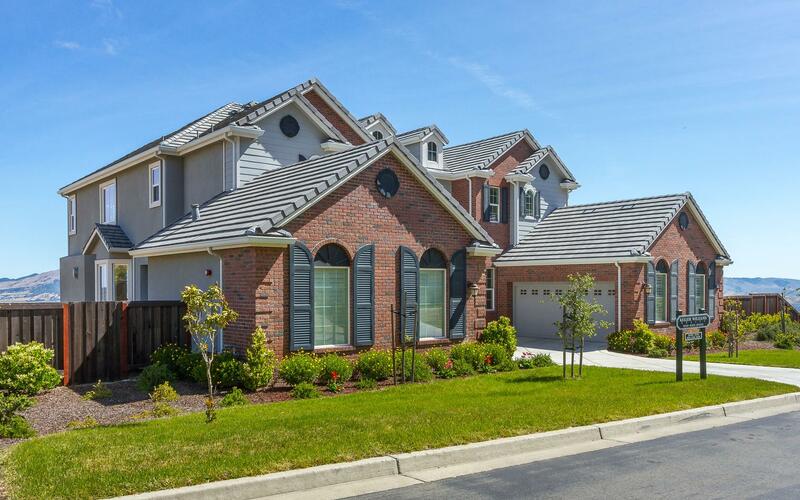 The neighborhood is gated with a guard on duty 24/7, and offers tennis courts, basketball courts, a private playground, hiking trails, and other community amenities. 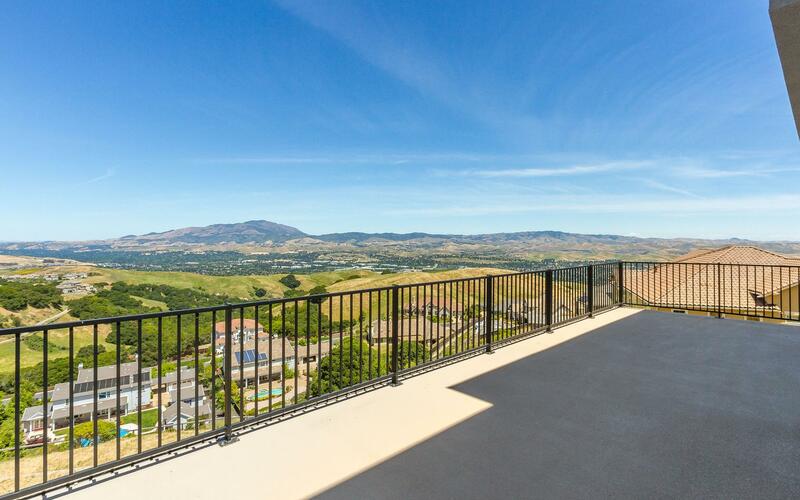 1128 Hawkshead Circle is perfectly situated on one of the very best view lots in the entire community, it’s a slice of paradise with panoramas vista of the valley and hills! 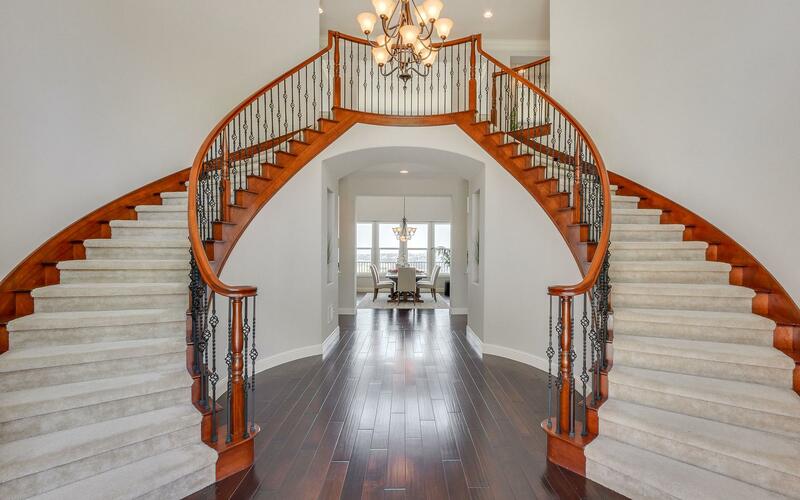 The elegant estate opens with a 20 ft grand foyer and two arched majestic staircases, this Santa Barbara Colonial Plan was one of the most desirable floor plans in the entire community. 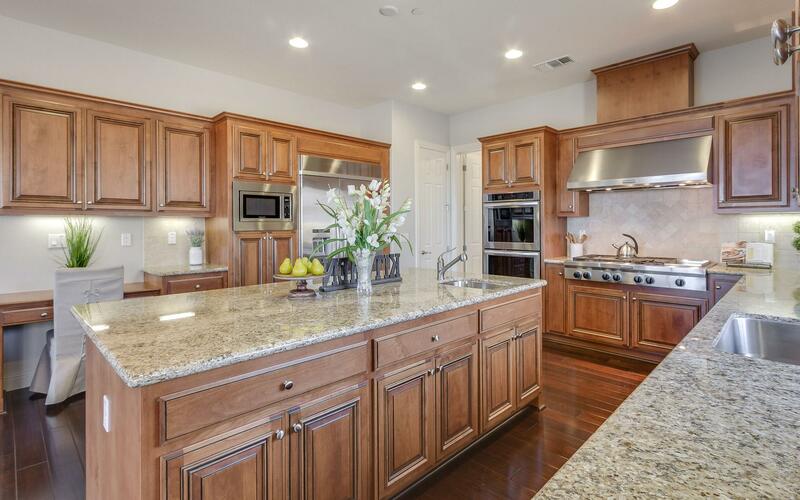 Its features include a Chef’s dream kitchen with a huge island and open to the family room. 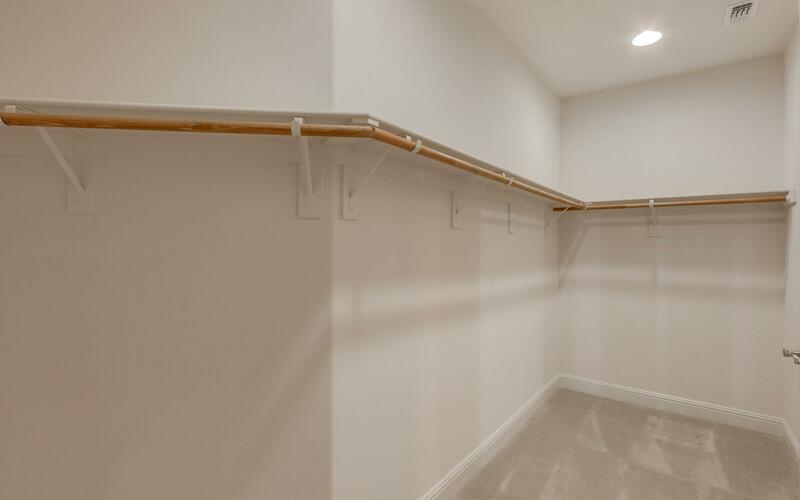 Upgraded cherry cabin and self-close drawers throughout. 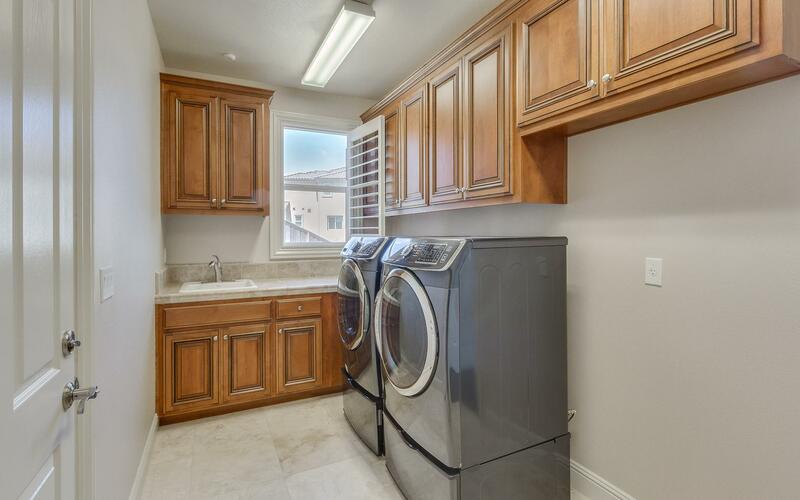 Top brand name KitchenAid stainless appliances and 48” Jen Air built- in refrigerator, and a spacious in-unit laundry room is just adjacent to kitchen. 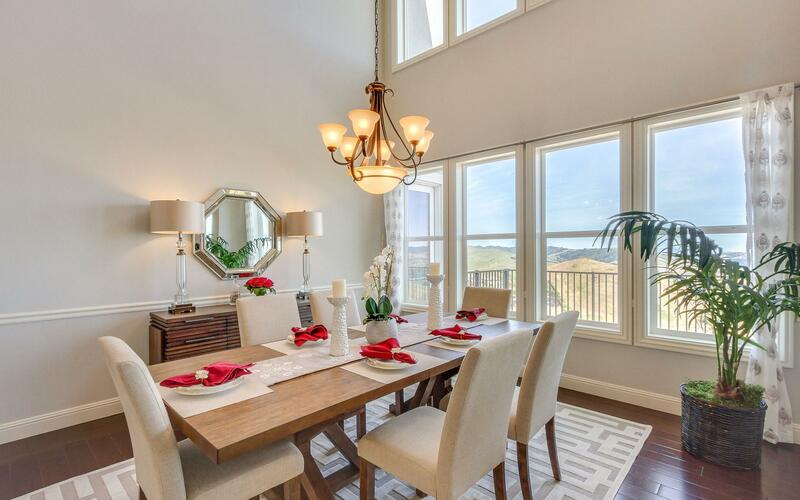 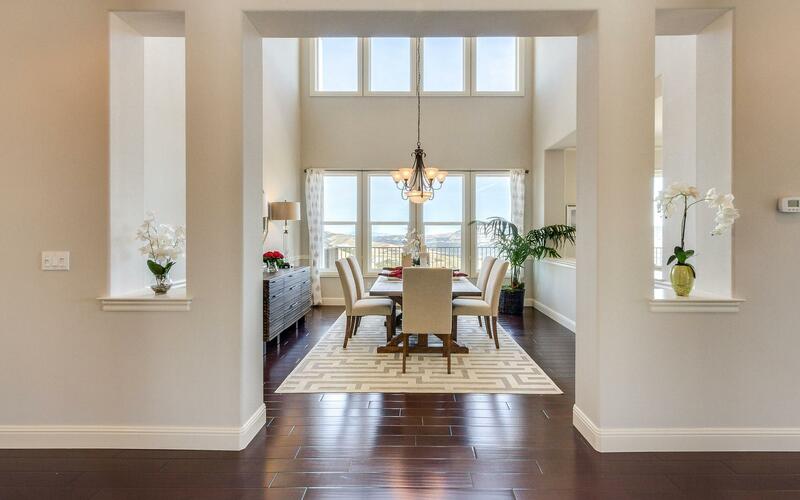 A formal dining room with 20 foot high ceiling nearby six grand windows with stunning views. 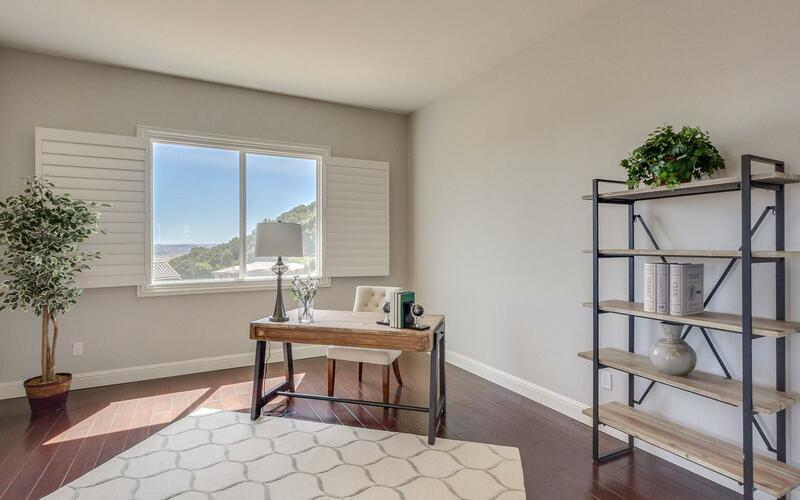 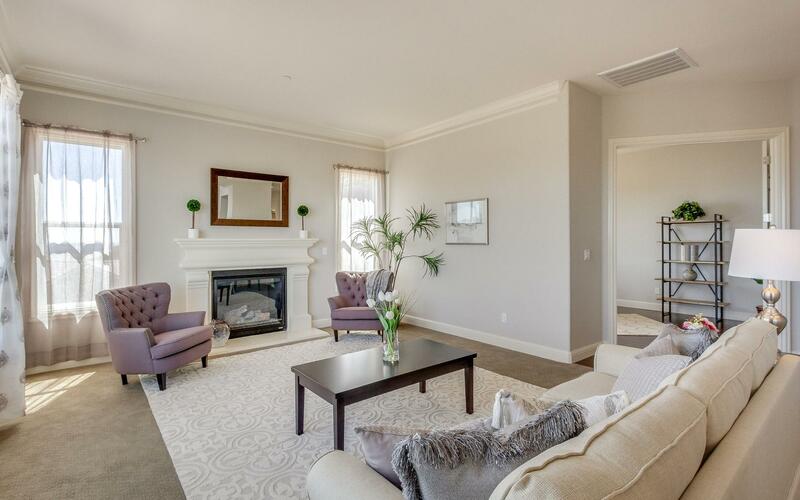 Living room is conveniently located between the dining room and home office with a gas-burning fireplace and four large view windows. 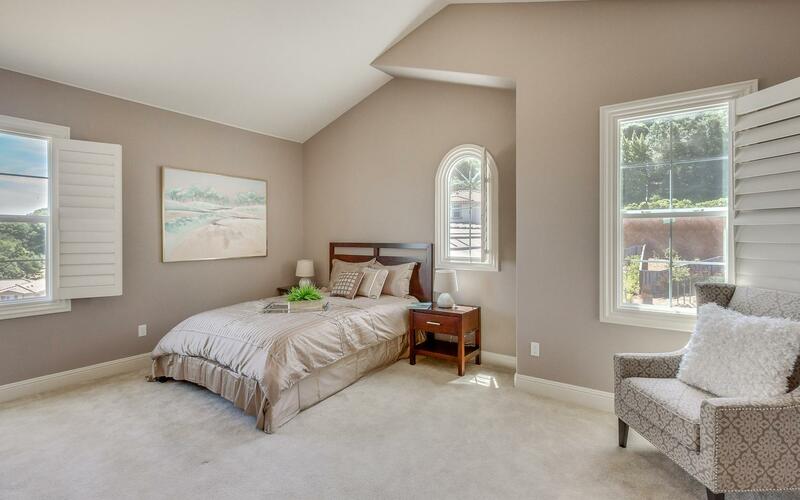 The downstairs level has a big loft and one huge guest bedroom. 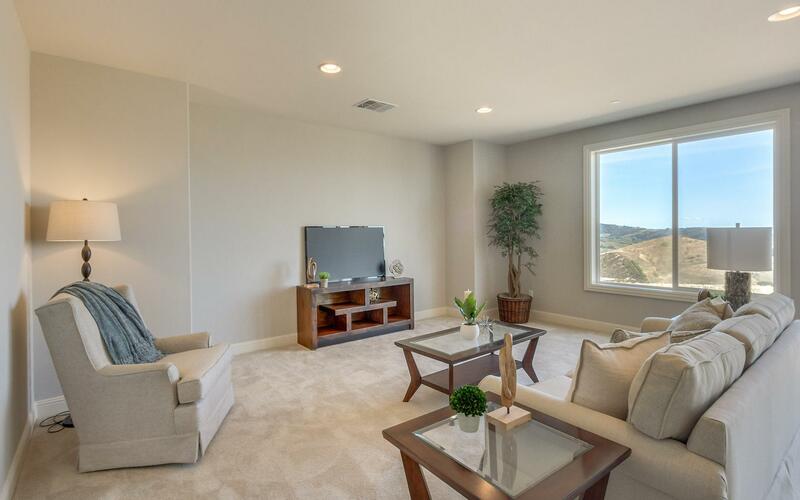 The loft is perfect for a media room for kids and guests. 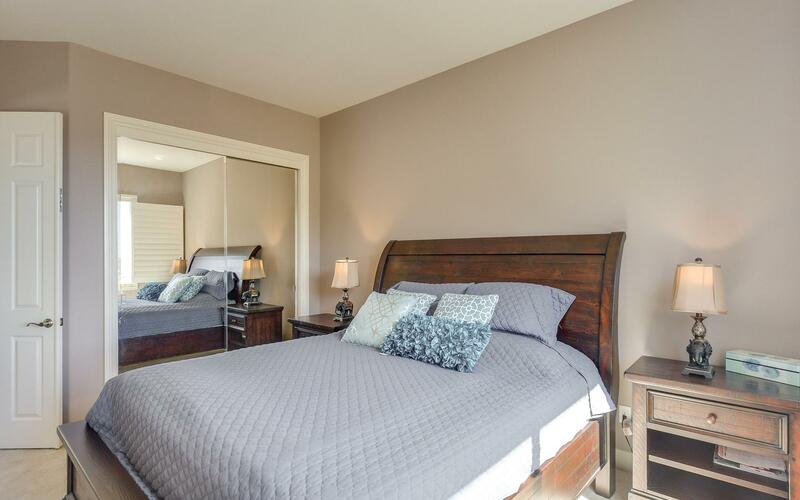 The spacious large bedroom with an en-suite bath, also enjoys exceptional views in addition to having private access to the back patio. 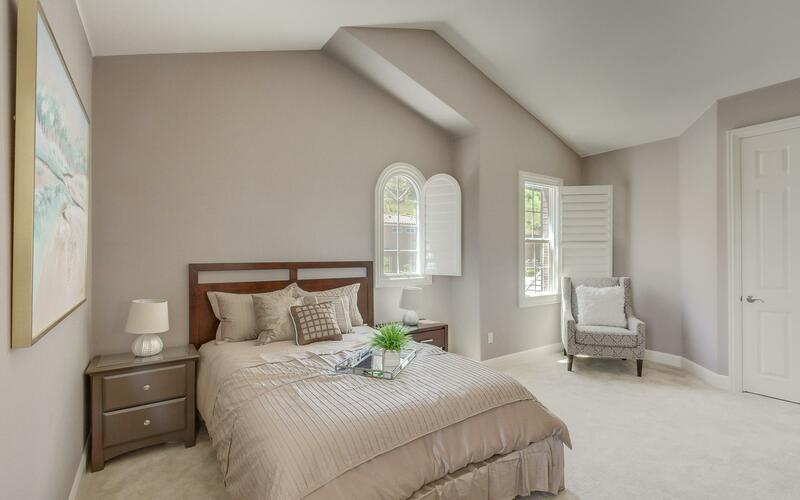 The upstairs level has one master bedroom and three bedrooms. 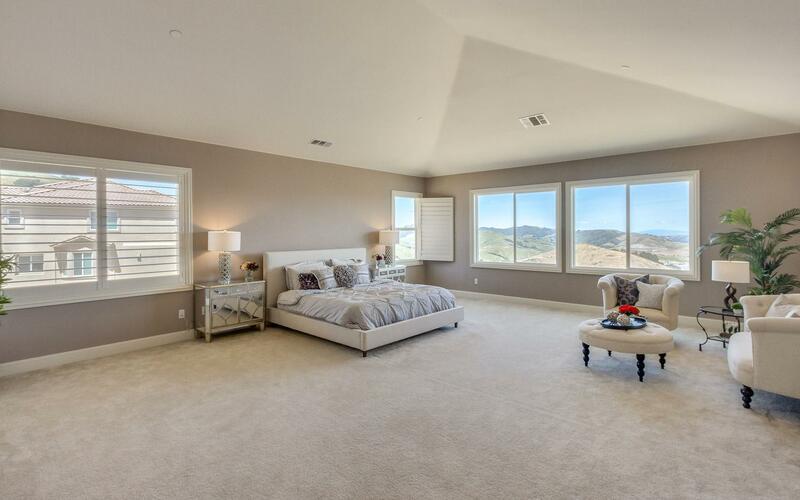 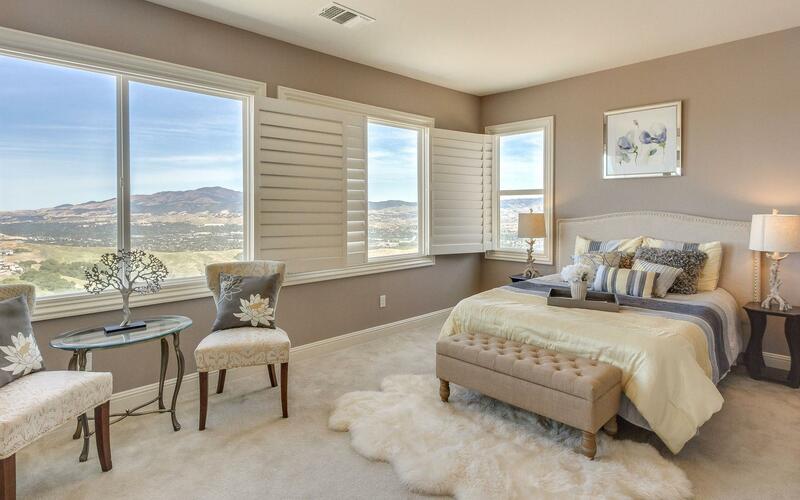 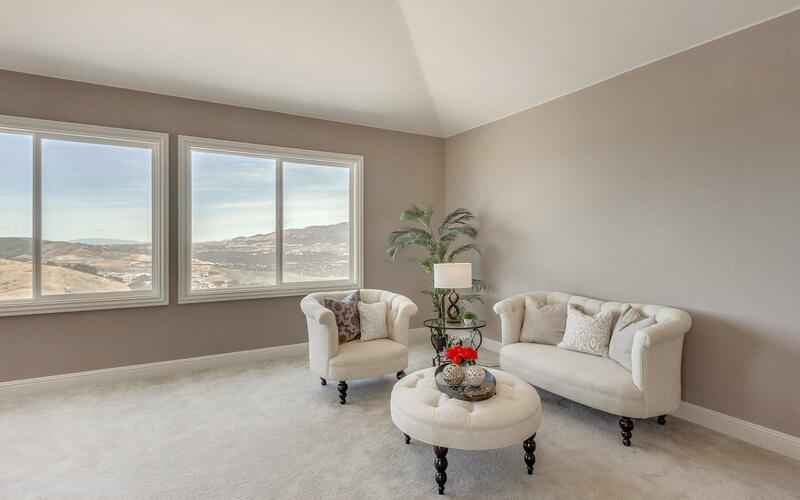 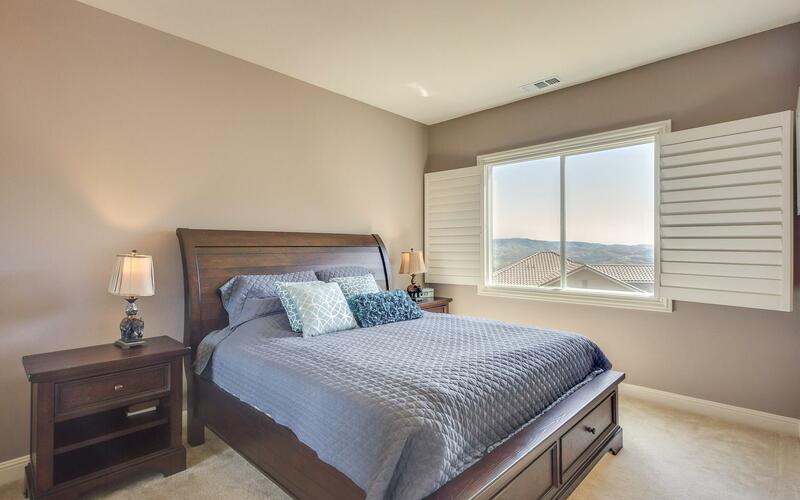 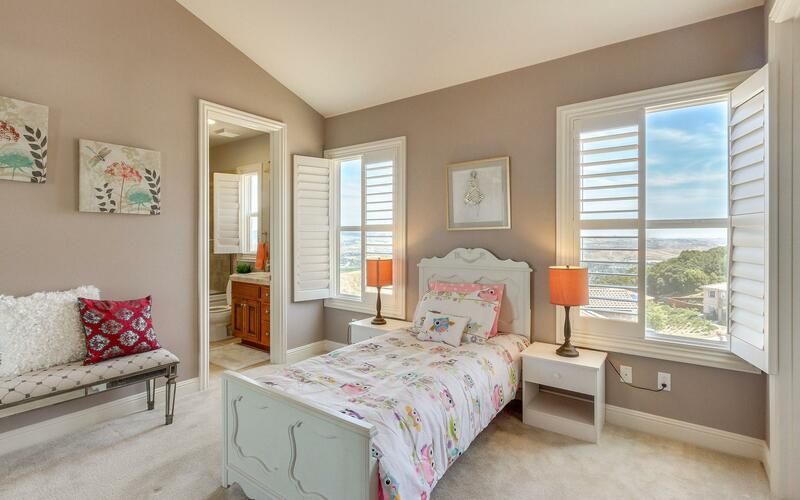 The master bedroom is highlighted by three large windows with panoramic views and 2 walk-in closets, his and hers. 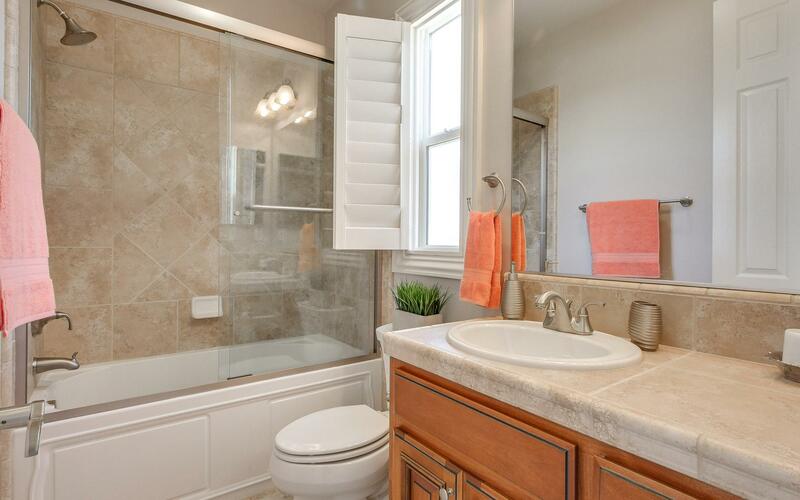 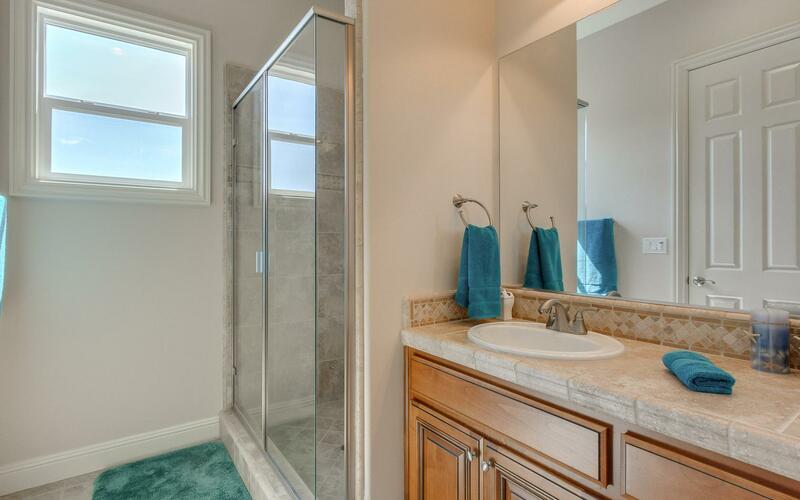 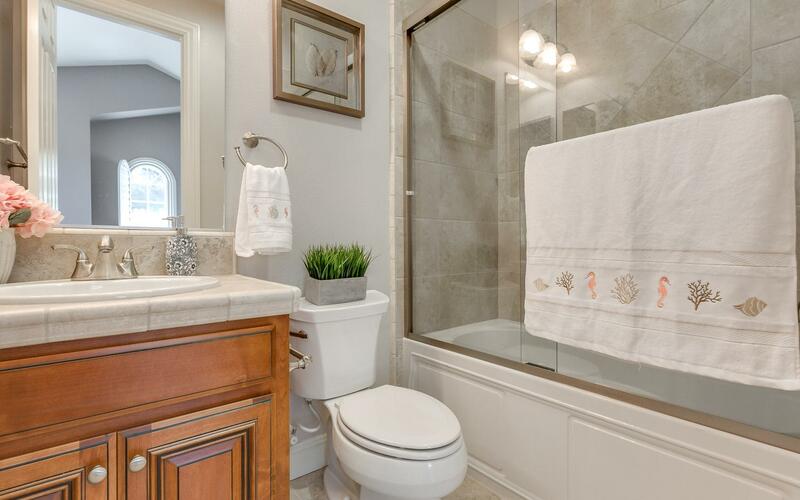 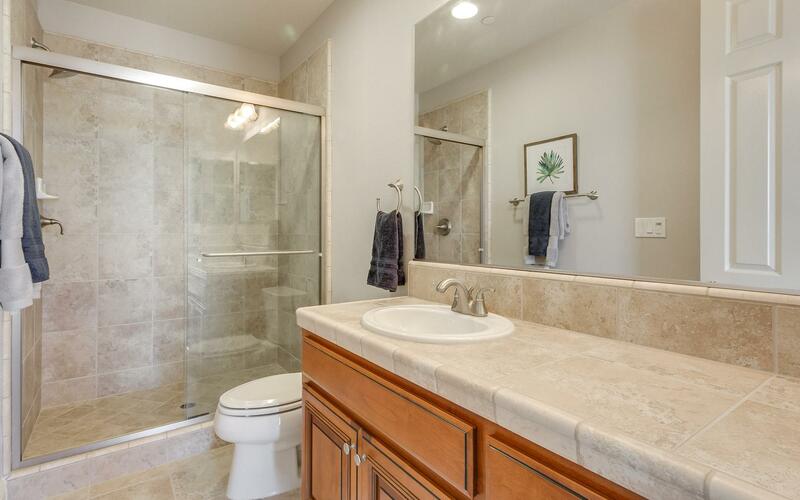 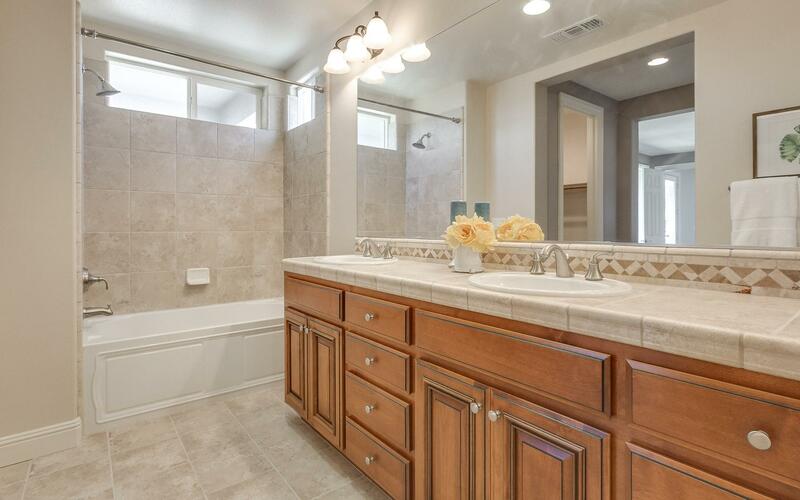 A private master bathroom is paved with travertine tiles, full backsplash, two single separated vanity, a jetted soaking tub and walk in glass shower. 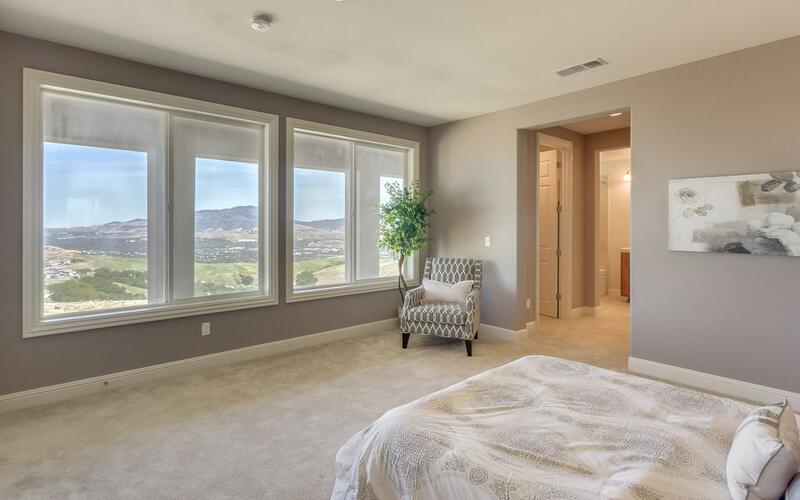 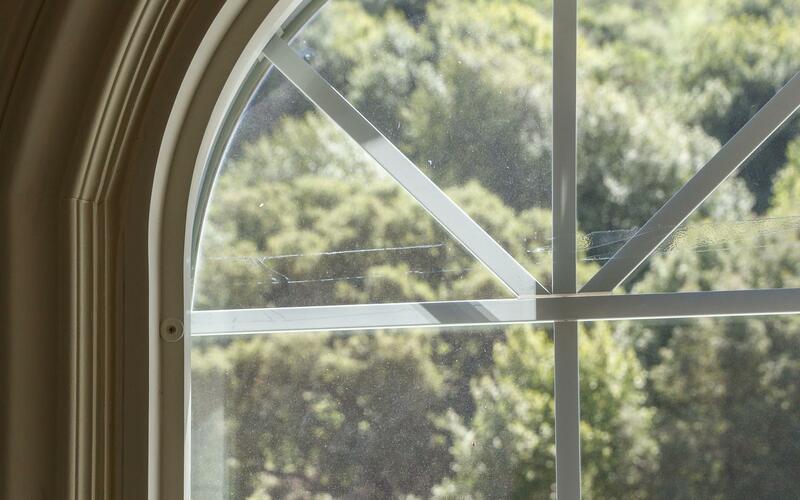 Each of the three bedrooms upstairs have an en-suite bathroom, and all with view windows. 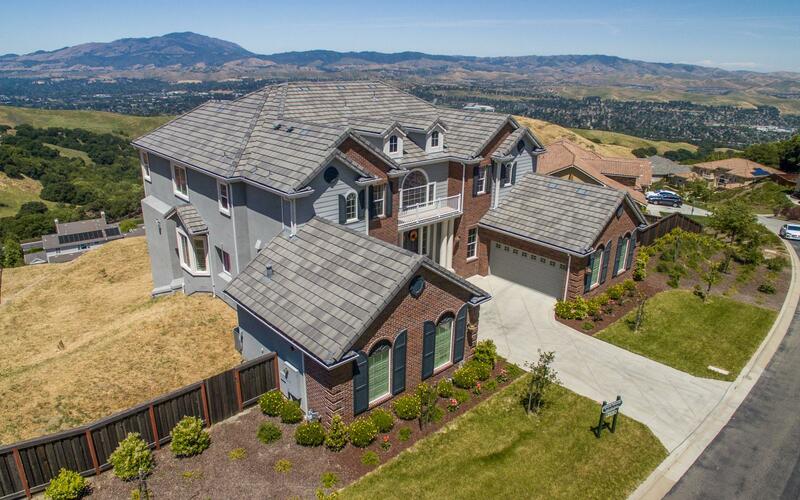 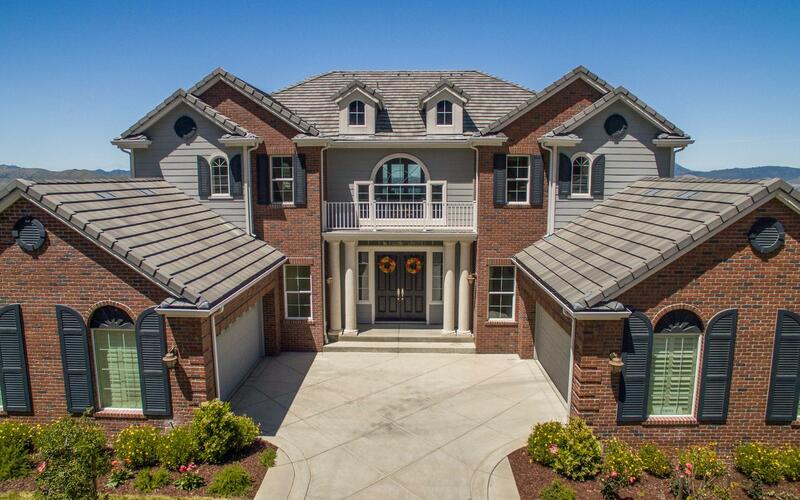 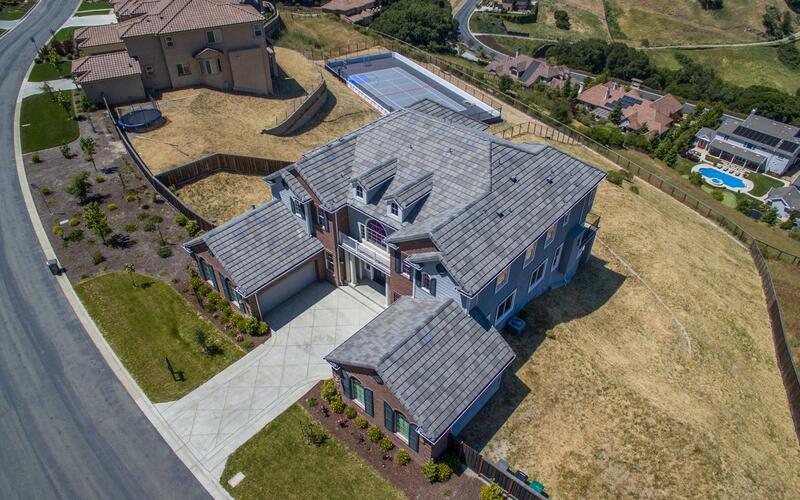 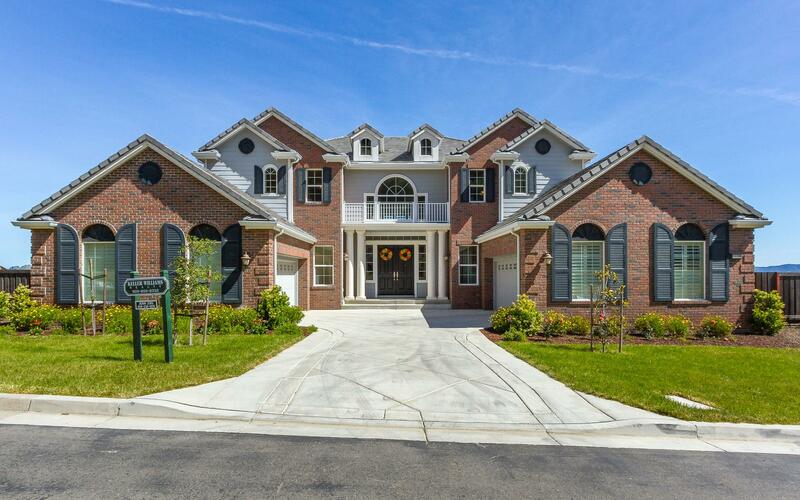 This stunning house is 5,965 square feet of living space, with 35,755 sq ft on a premium lot. 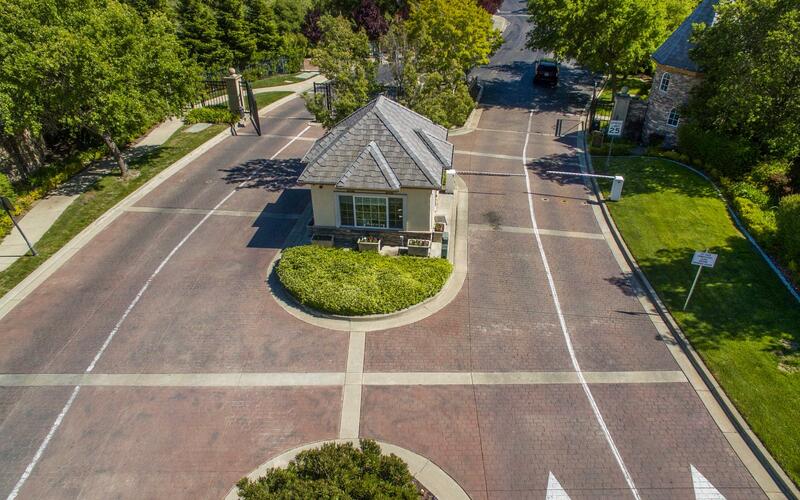 The lot premium today is probably worth of half million $$ according to Toll Brothers nearby similar site quote. 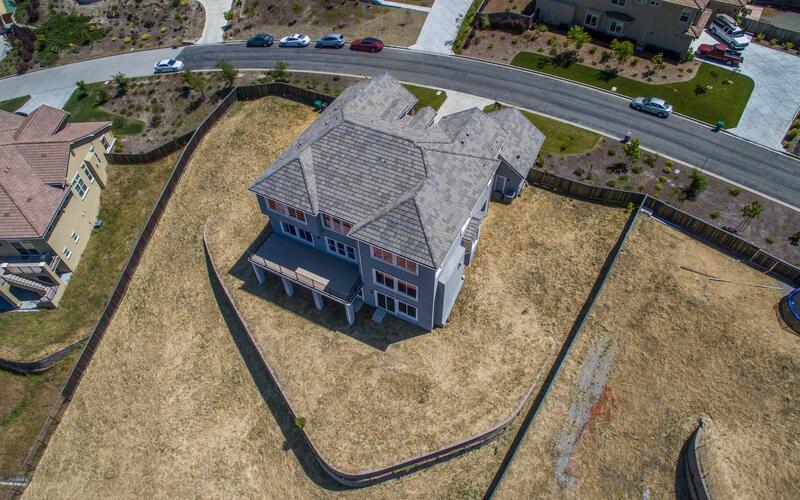 In total, it has 6 bedrooms, 1 home office, 6.5 bathrooms, 1 formal dining , 1 living room, 1 family room and 1 downstairs media room/loft, 4 car garage. 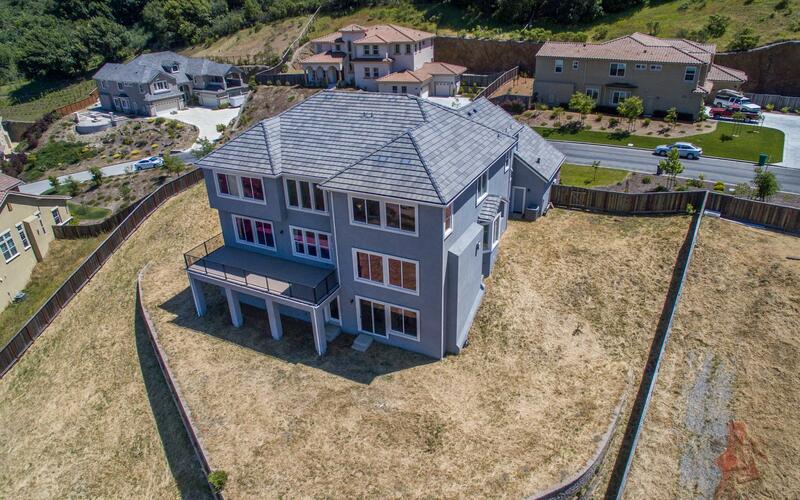 Built in 2014, this grand estate is perfect for indoor and outdoor living enjoyment as well as entertaining in the beautiful Bay area. 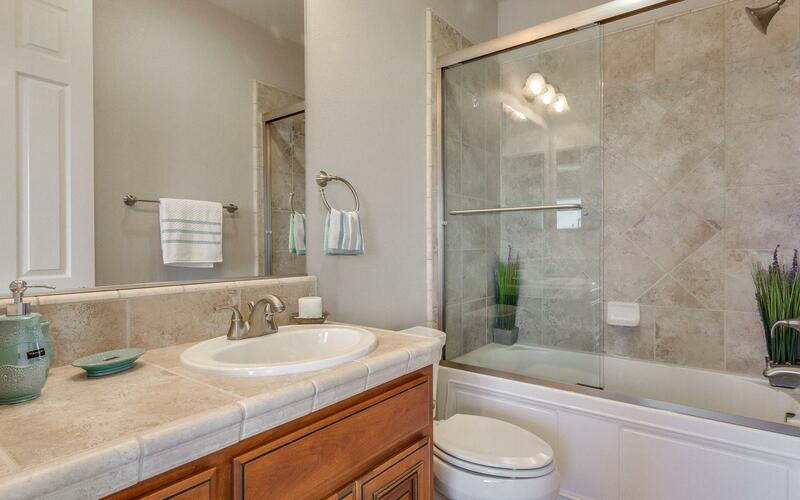 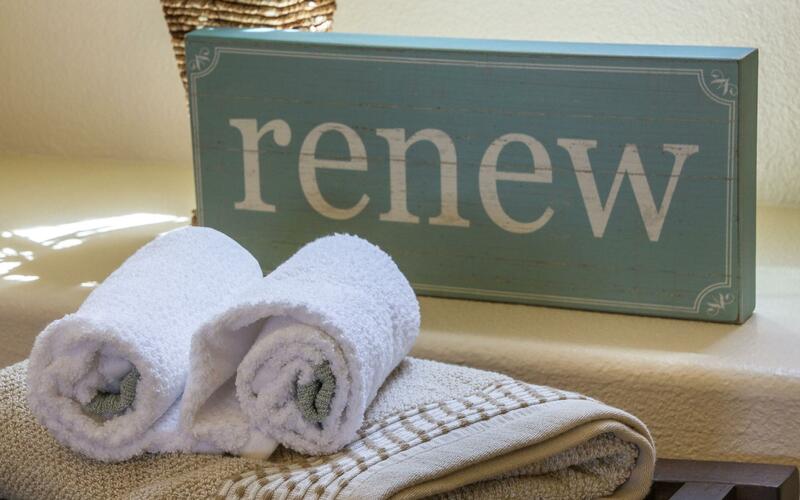 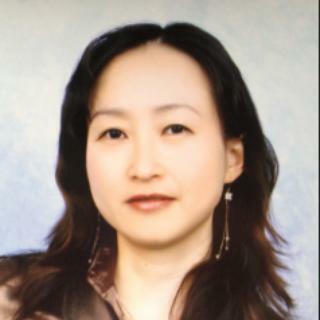 Hurry up, such a hidden treasure won’t last long…Call now, 408-338-5010. 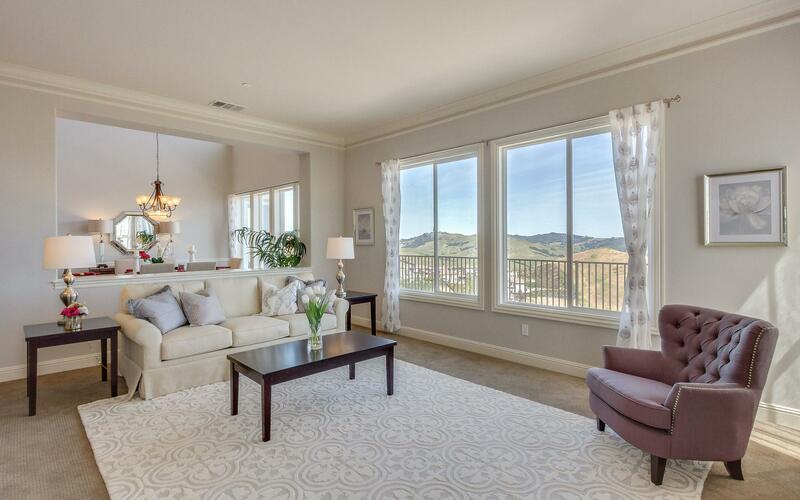 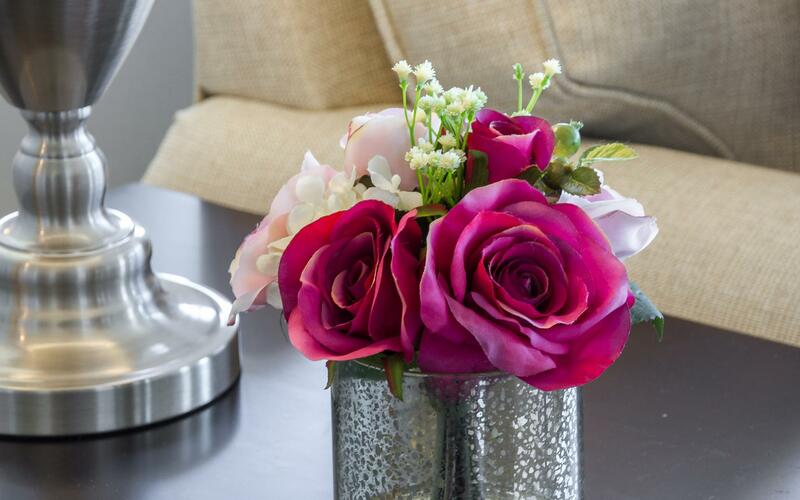 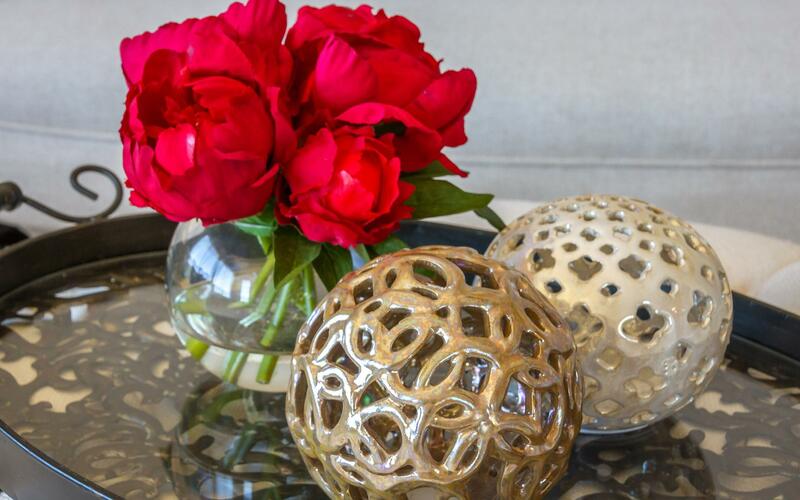 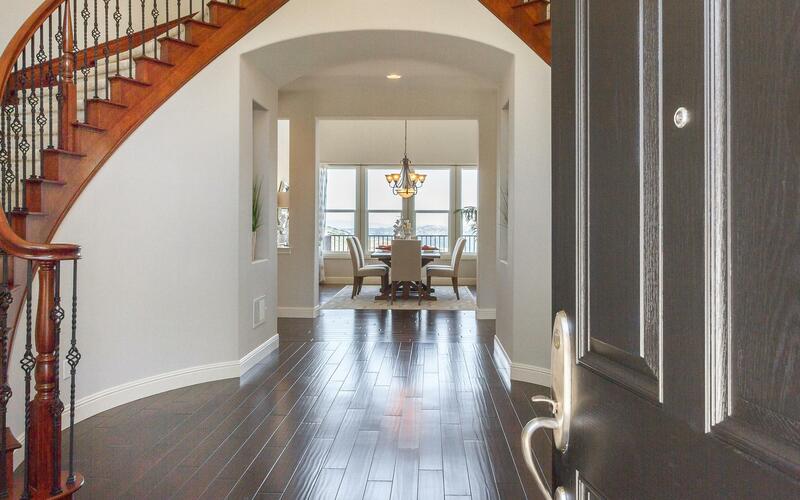 1128 Hawkshead Circle, San Ramon, CA from WALKINTOUR on Vimeo.